Ukraine and Turkey signed the Memorandum of Cooperation that stipulates mutually beneficial cooperation in development and production of aviation equipment and ground systems for the armed forces of both countries. UKROBORONPROM is a union of 100+ diversified defense industry enterprises, operating in the fields of development, production, sale, repair, modernization and disposition of weapons, military and special equipment, ammunition, engaging in military-technical cooperation with other countries. Implementation of modern business management practices allowed them to significantly increase national production, financial performance, strengthen UOP positions in the international market and to develop and mass produce a number of modern weapons. Defence Turkey: What type of capabilities and products are being displayed at IDEF right now? UKROBORONPROM represented the Portable rocket grenade launcher – produced by UOP SE “State Kyiv Design Bureau “Luch” - and UGV “Phantom” at IDEX 2017, Abu Dhabi where mass media representatives ranked them as the most interesting and innovative products. We also exhibited the AN-132 aircraft developed for our Saudi Arabian customers. Also – in the framework of IDEF-2017 – UOP exporter “SpetsTechnoEksport” demonstrated active protection complex “Shershen” ( “Zaslin”), installed on light and heavy armored vehicles, latest generation system of active armor “Duplet” and optical-electronic suppression station “Adros “CT-01 AVE, which is designed to provide highly effective protection of helicopters against guided missiles with infrared homing head types. Portable propelled grenades – known as LCD 4 “Ingul” by UOP SE “DCB” Luch” was displayed at IDEF-2017 for the first time. The new weapon is designed to engage lightly armored and unarmored vehicles (launchers, radar, aircraft, cars etc. ), field type constructions (emplacements, bunkers) and manpower located in the open space in shelters, buildings made of stone, brick or concrete. The firing range of portable propelled grenades ranges from 70 m to almost 2 km and the distance of direct shot reaches 600 m. The use of new opto-electronic sight automates and simplifies gunner’s work, providing high accuracy hit at maximum firing range. Also at IDEF-2017 UKROBORONPROM also presented new developments of the Ukrainian military-industrial complex, among which armored personnel carriers BTR-3E1 and “Dozor-B,” Main Battle tank “Oplot,” tank units, missile munitions and artillery armament, firearms etc. Defence Turkey: We know that Turkey and Ukraine have signed an MOU in March of this year to enhance the collaboration between the two sides. Can you elaborate on this agreement? What are the headlines or topics that could be considered between the two countries? Ukrainian delegation is represented by the Secretary of the National Security and Defense Council of Ukraine Oleksandr Turchynov. We already have signed a number of memorandums between Ukrainian and Turkish companies in the defense sector. Cooperation with Turkey as a country with a strong developed defense complex is essential for us. Within the framework of IDEF-2017, several key agreements were signed, allowing for the implementation of promising projects in various fields, including ammunition production, creating combat drones and other aircraft equipment. For example, today we signed several MoUs with Aselsan, Havelsan, TAI and we will also cooperate with the biggest companies of Turkey; we also signed a range of MOUs with smaller companies, all of this in just in one day. Defence Turkey: In Turkey, what programs are you especially interested in? There is a great number of projects that we can cooperate with on the Turkish side, most notably: communications devices, aircraft construction, ammunitions supplying/manufacturing and many other programs. The Ukrainian defense industry is ready to work with Turkey as a partner, so we have plenty to discuss. Defence Turkey: Are you planning any mergers in Turkey or are you considering to making investments in Turkey? We are really interested in creating joint ventures with the Turkish government. Right now, we have some discussions considering that and we are looking forward to establishing joint ventures. 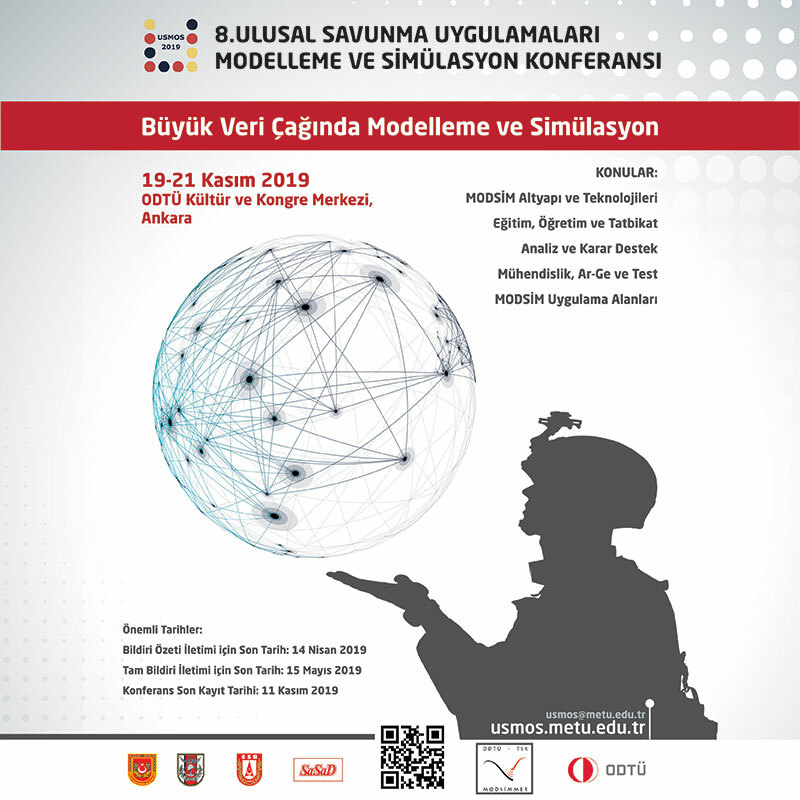 Defence Turkey: We know you have an agreement with Havelsan on radar technologies; can you please provide us with some details about this and the related activities? We signed a non-disclosure agreement which means we are not allowed to share the information to the general-public. Defence Turkey: A decision was made to open a coordination office in Ankara; can you share some information about that? We decided to open a representative office in Ankara. As of today, these functions are performed by the Embassy and the attachés of Ukraine in Turkey. 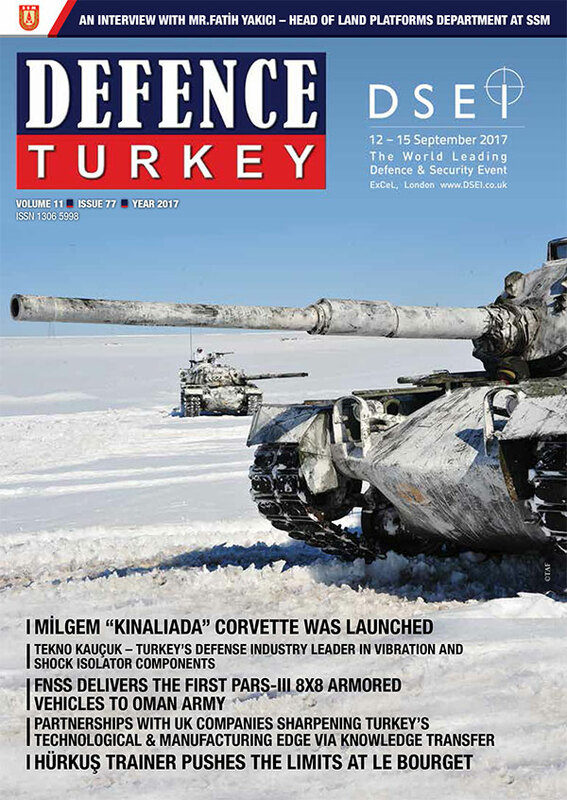 Defence Turkey: Would you like to add some remarks for the readers of Defence Turkey magazine? As of today, we broke all the connections with the Russian Federation and managed to solve the problem in a timely manner with spare parts by having implemented an import substitution program. Nowadays we refer to this episode as our defense industry revival. We see the Turkish defense industry as our strategic partner. I believe that in the near future we will see the results of the partnership between Turkey and Ukraine. I’d like to provide you with some brief details about UOP: The State Concern unites 130+ enterprises-participants in 5 major defense industry sectors, particularly in armament and military equipment development and manufacture, scientific research and export-import operations. “Ukroboronprom” has 31 design bureaus, engaged in development, design and research, enabling the State Concern to be involved with implementing new solutions and innovations. As a result of 2016, UOP increased exports by 25%– from $ 570 million up to $ 770 million. At the same time, we fully comply with internal orders, providing domestic armed forces with everything necessary. 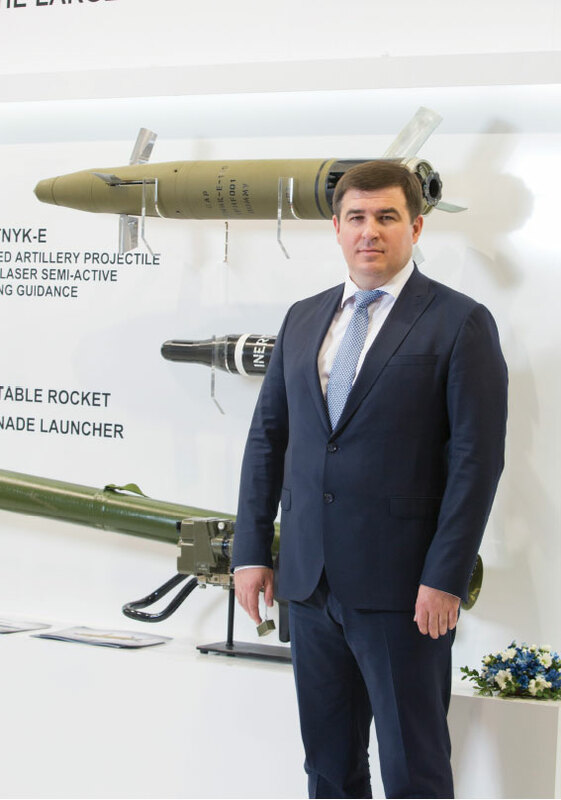 Ukrainian defense industry is developing and integrating into the global defense and security sector, and the vector of reforms for NATO integration is irreversible. UOP enterprises-participants are actively moving to international working standards – Quality control system ISO 9001 is already working at 70% of UOP enterprises and quality assurance AQAP (Allied Quality Assurance Publications) 2000 series – is being implemented. This is stated in the UOP results, published in 2016. 40 UOP enterprises-participants have access to NATO Master Catalogue of References for Logistics. This tool will allow domestic enterprises of the defense sector to enter the international market of armaments and keep implementing import substitution program.